What a better name than an oracle to represent an innovation that anticipates the future?Motive, first ISO9001:2000 certified company in its field, has understood which are the unexpressed and unsatisfied needs of its market and, once again first, it has developed the new Delphi line. More solid, more accessible when cabling, more protected from the infiltrations, more beautiful.The mechanical and electrical characteristics, already to the top of the field, remain like before, since they couldn&apos;t be improved more.motive motors are built according to international standard regulations; each size throughout the construction forms is calculated with reference to the tables of standard IEC 72-1. The shapes built per IEC 34-7, are B3, B5, B14, B35. 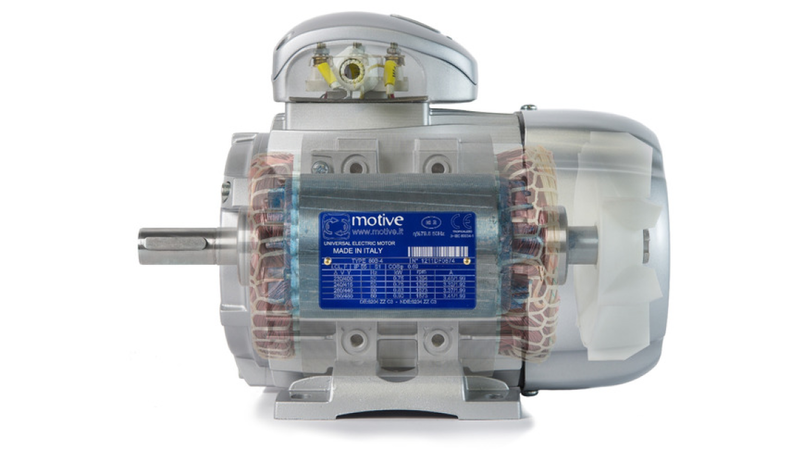 motive asynchronous three-phase Delphi series motors are closed, and externally ventilated.The frame, up to 132 included, is made in die casting aluminium alloy, from 160 the frame is made in cast iron. All motors are: multiple voltage 230V/400V or 400/690V, and multi-frequency 50/60Hz, F class insulation, S1 continuous duty service, IP55 protection, 1 or 2 class efficiency.